Discussion in 'Science Fiction & Fantasy' started by JD, Nov 2, 2018. The BBC says that they have gotten ahold of documentation that includes the titles for all four of the sequels. Since we know that the second and third movies are supposed to deal a lot with the under water parts of Pandora, the title for the second one makes a lot of since. Not sure what to make of the others though. Is the second one gonna be Avatars. Sorry about that, I hit something that posted the thread while I was still in the middle of typing. So the second one is WOW, then. Admiral2, Anwar, Snick27 and 2 others like this. I'm going to give WOW a chance. The first one was "Wow!" in the theater. This one could be both WOW and "Wow!" Yeah, I know...it's not two-and-a-half plotless hours of comic book characters hitting each other. What's the point? When is the first one supposed to be released? Aside from "comic book," you just described Avatar. Anwar, grendelsbayne and flavaflav like this. December 2020. So, still some time to wait. I'm very much looking forward to these. The first one is still among my favorite movies. Sure, Cameron has taken his damned time with the sequels, but he did take his time to do the first one right, so I'm willing to wait. Trekfan12 and gblews like this. I'm very much looking forward to these. The first one is still among my favorite movies. Same here. I'll be there at the first show. On a technical level...photorealistic CG rendering has improved since 2009, but no movie made since has surpassed Avatar for the overall immersive use of CG or 3D. No one else seems to really know what to do with the latter. I’m a believer in James Cameron. He’s never let me down. YellowSubmarine, Ethros, mos6507 and 1 other person like this. James Cameron usually delivers, so looking forward to these. I am looking forward to these movies. Yeah. The immersive use of the technology was the thing that bowled me over about the first one. I'm kind of with you, but can't help thinking that aside from the breath taking technical achievement, Avatar was a bit 'thin' to spin off into four movies, especially this long after it mattered. I'd have preferred him being hands on involved with the Alien and Terminator franchises. 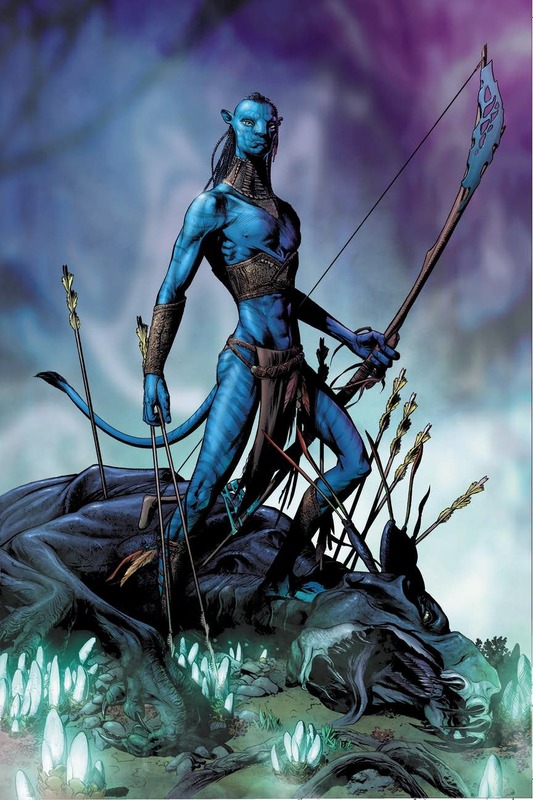 Avatar was a bit 'thin' to spin off into four movies, especially this long after it mattered. I think the big issue with Avatar is the underlying environmental exploitation and degradation theme. What value Avatar has in "mattering" lies there, as a massive public-service-announcement. Around the time of the first film there was still more active engagement but these days there is some mixture of wilfull denial and avoidance even by those who know damn well what is going on. Kai "the spy" and Relayer1 like this.